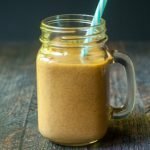 Pumpkin Protein Smoothie - for a low carb, high protein and fiber breakfast! 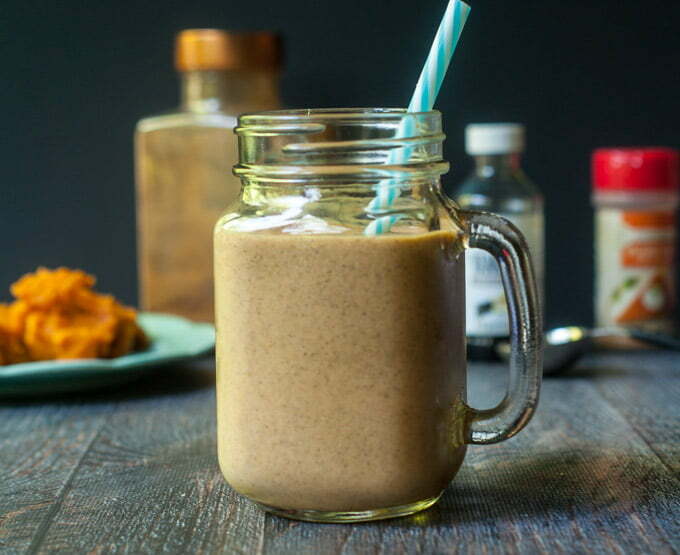 Pumpkin Protein Smoothie – for a low carb, high protein and fiber breakfast! 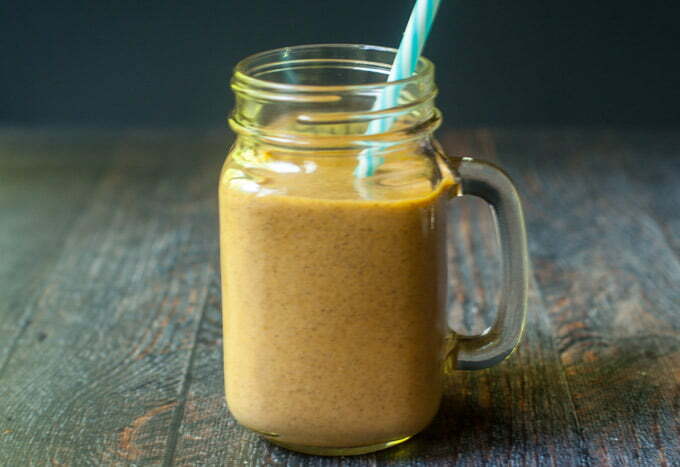 This is a delicious low carb pumpkin protein smoothie that is perfect for getting in that protein for your morning breakfast. You might also love this low carb salted caramel pumpkin smoothie! I’m not much of a breakfast person. I’m just not hungry in the morning. So on days that I’m going to the gym I try to make a protein smoothie to get me going. Since it is fall and pumpkin is in the air…well not literally but it is everywhere…I thought I’d concoct a Pumpkin Protein Smoothie. 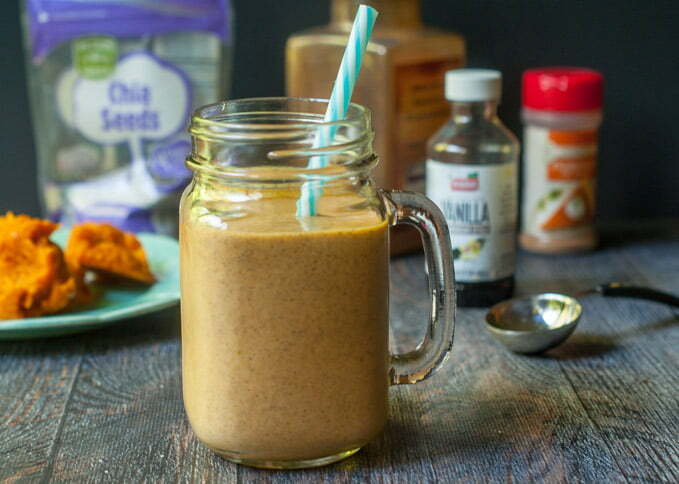 The main ingredients are: unsweetened almond milk, vanilla protein powder, chia seeds, plain pumpkin, pumpkin spice & vanilla. I don’t like mine super sweet but you could easily add some stevia, Swerve or whatever sweetener you like. The vanilla protein powder has enough sweetness for me but you might want more. UPDATE* I changed the protein powders I use now because the following are available in many flavors and have 0 or 1 net carbs. They are Isopure Zero Carb protein powder, CarbThin, Quest, and Lite Protein. You can find these and most of the ingredients for this smoothie on my Amazon page (click here). Isopure has 25g protein and 0 net carbs while Lite Protein has 10g protein, 1 net carb and 4g fiber. Both taste delicious and come in fun flavors. It’s best to use plain, pure, canned pumpkin in this recipe … not pumpkin pie filling. 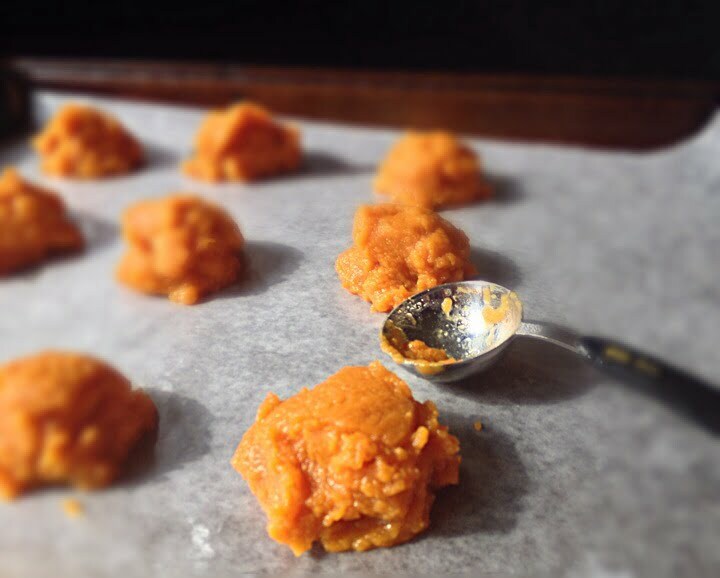 Tip: I like to freeze my pumpkin puree in 2 Tablespoon increments. My DH (a hockey player) calls them Pumpkin Pucks. I always seem to have extra when I open a can of pumpkin for a recipe. So I put a piece of wax paper on a cookie sheet, measure out 2 tablespoons per puck and freeze for an hour or two. Then I take the pucks off the wax paper and plop them into baggie to store in the freezer. The frozen texture is great for smoothies, making it both thick and cold so you don’t have to use ice cubes. I also like to add chia seeds to my smoothies because they add fiber and thickness. If you pulverize the seeds, they will start to thicken your smoothie like pudding. Some other things I like to put in my smoothies are ground flax seeds, maca powder, Great Lakes gelatin, powder greens or fresh greens, ground nuts or nut butter, hemp seeds, and so on. This is a delicious low carb smoothie that is perfect for getting in that protein for your morning breakfast. Put everything in the blender and blend on high for 1 minute. The chia seeds really need to be blended to make the shake thick. Note: I freeze my pumpkin puree in 2 Tablespoon increments. You don't have to freeze it but you might want to add a few ice cubes to make it thicker. Please note if you need to find any of these ingredients you can find them on my Amazon page. Hi Colleen, I hope you like it! I changed this up a little and it came out amazing! – and traded the chia seeds for kale. 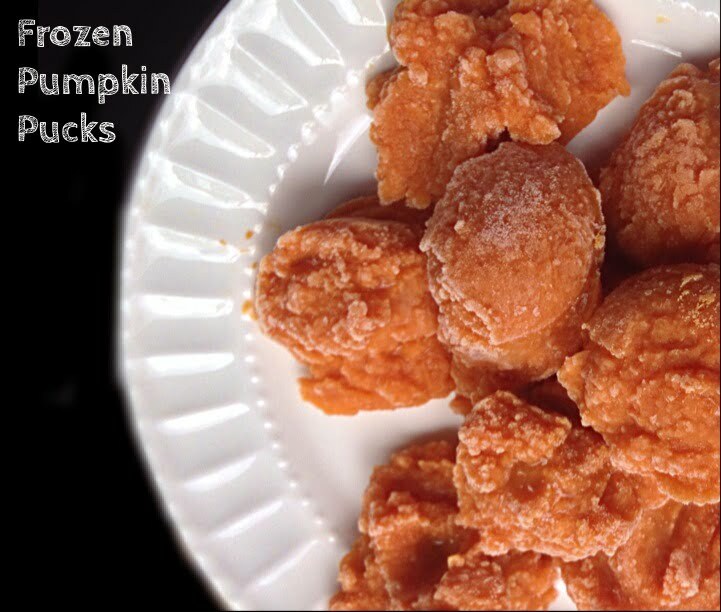 Great idea to freeze the pumpkin balls! Hi Danette! Thanks for taking the time to comment and sharing your substitutions! So glad you liked it. 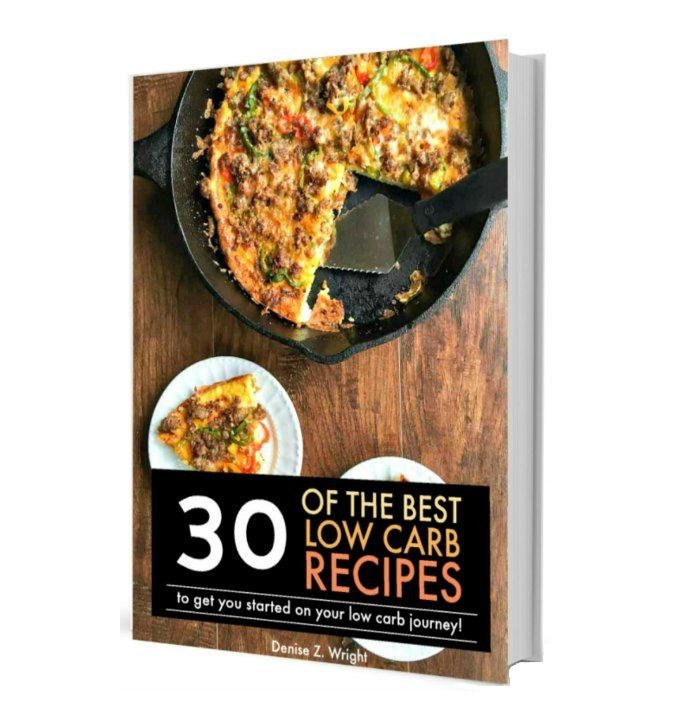 The total carbs are 12.9g. I’ve updated the post for the total nutrition. It all depends on both the protein powder that you use and the milk can make a difference too. Hope that helps! I cannot WAIT to try this!! Love anything pumpkin — and I want to start my day with THIS!! Thanks Michaela! I hope you like it!